Interesting news from Ratebeer that last week released a series of Ratebeers Best 2014. I was especially interested in the ‘Top 100 beers in the world’ series. 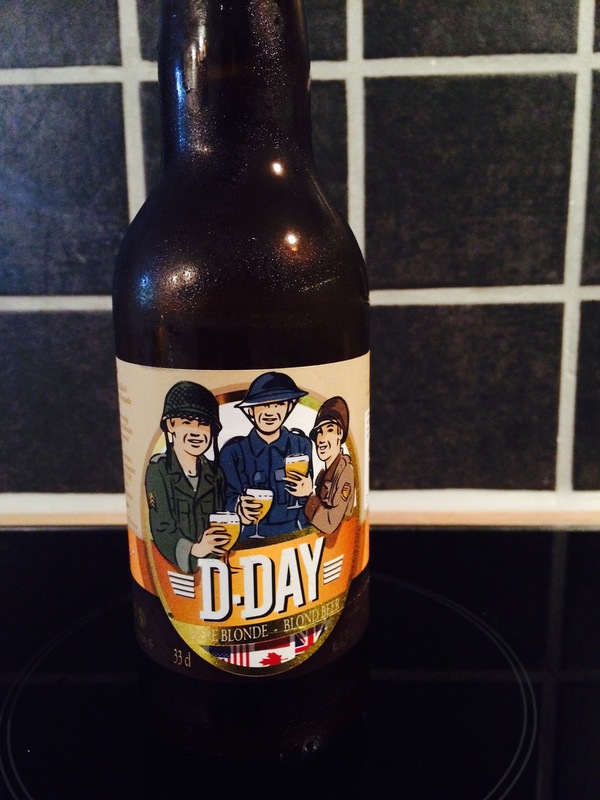 Only 18% of those beers originate from Europe, while 3% comes from Canada and the bulk 79% from USA. This clearly indicates the predominance of American beers that are liked on Ratebeer. Strange that no Asian or Australian beers make it to the top though. If we look a little closer to which beers are chosen in Europe as best beers, I am very proud to be a Belgian :-). 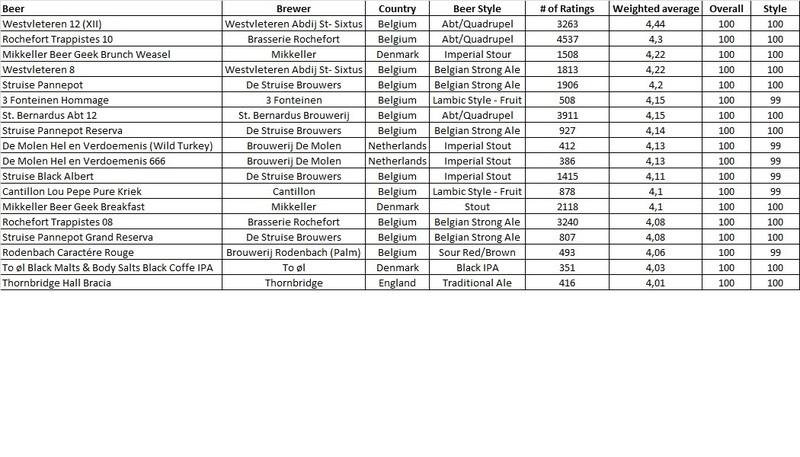 Yep, 12 out of the 18 beers are Belgian, with Westveleteren 12 (XII) ranked first with the highest rating score. The most intruiging Belgian beers that made it to the top are, however, the series of De Struise Brouwers. Not less than 4 of the 12 Belgian beers are beers from this brewery! And according to the brewer, the brewery would have already gone down if he did not send an example beer to Ølbutikken in Denmark in 2004 to taste the beer. Exactly, that kick-started the succes of the De Struise Brouwers on an international level. Great to know :-), now I am also proud to live in Denmark, that by the way ranks as the second best country when it comes to top beers. 3 of the 18 European Top beers listed, are coming from Denmark, and from only two brewers: Mikkeller and To øl. And that makes sense, those are two of the leading brewers in the Danish brewery scene.